A characteristic feature of totalitarian one-party dictatorships is the party’s use of a powerful tool against citizens — informants. The identities of the informants are secret; nor can the information they provide be verified or disputed. The Soviet Union, East Germany, Maoist China all made use of secret informants against not just political dissidents, but any and every one. After the Berlin Wall separating West from East Germany came down in 1989, bringing to an end the communist East German regime, officers of the regime’s formidable Stasi secret police tried to destroy their files. But the files were saved by ordinary East German citizens who stormed the Stasi offices in Erfurt to protect the documents. 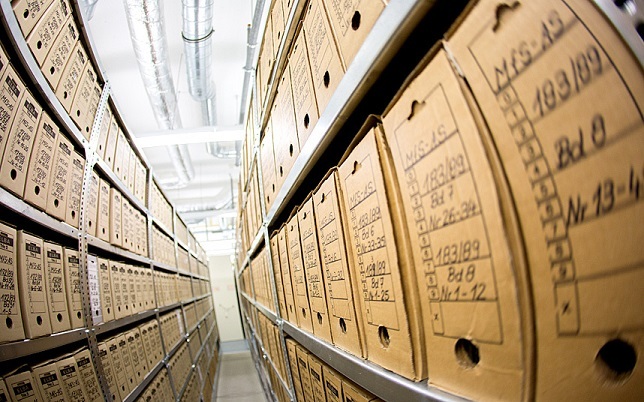 Beginning in 1992, the Stasi documents were made available to the general public who finally could view the hitherto-secret files on themselves. They were shocked to discover that colleagues, friends and family members had been secret informants. In total, the Stasi’s network of informants numbered one in every 90 East German citizens. In July, the editorial board of America’s supposed premier newspaper The New York Times openly called on Democrats to go to war against President Trump by deploying mafia “Godfather” tactics. Recent events show that using secret informants is one of the tactics. On Sept. 5, 2018, the despicable New York Times published an op/ed by an anonymous author who claims to be a senior official inside the Trump administration but part of the anti-Trump “Resistance”. The author claims not to be the only one — that “many of the senior officials” in the administration “are working diligently from within to frustrate” the President’s “agenda and his worst inclinations” in order “to preserve our democratic institutions”. If you haven’t already read the op/ed, you can read it on Information Clearing House instead of on the click-baiting NYT. I know who wrote the anonymous “senior Trump official” op-ed in the New York Times. The New York Times wrote it. The op-ed is an obvious forgery. As a former senior official in a presidential administration, I can state with certainty that no senior official would express disagreement anonymously. Anonymous dissent has no credibility. Moreover, the dishonor of it undermines the character of the writer. A real dissenter would use his reputation and the status of his high position to lend weight to his dissent. The New York Times’ claim to have vetted the writer also lacks credibility, as the New York Times has consistently printed extreme accusations against Trump and against Vladimir Putin without supplying a bit of evidence. The New York Times has consistently misrepresented unsubstantiated allegations as proven fact. There is no reason whatsoever to believe the New York Times about anything. Nine days after the publication of the NYT op/ed, it appears that this latest attempt by Demonrats to bring down President Trump has fizzled. And so Demonrats have deployed the Stasi secret-informant weapon against a new target — Supreme Court nominee Judge Brett Kavanaugh. Kavanaugh’s nomination had been scheduled for a vote yesterday morning in the Senate Judiciary Committee. 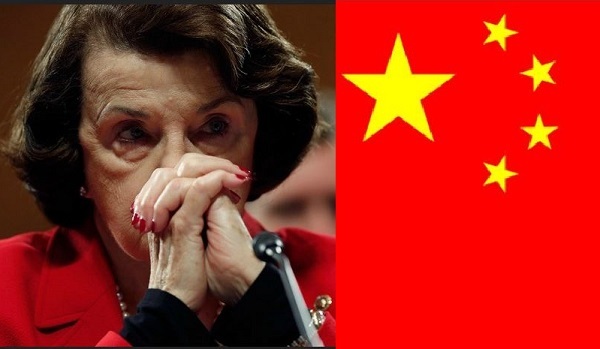 At the last minute, however, Sen. Diane Feinstein (D-CA), the top Democrat on the Senate Judiciary Committee whose personal driver of 20 years is a Chinese spy, threw a wrench in the schedule by forwarding an anonymously-written letter to the Justice Department which accuses Judge Kavanaugh of unspecified “sexual misconduct” with an unnamed woman when they were both high school students. Kavanaugh is 53 years old, which means the alleged sexual misconduct took place (if it did) at least 35 years ago. Bob Fredericks reports for the New York Post, Sept. 13, 2018, that Feinstein said the information came from a woman who wanted to remain anonymous, and declined to detail the letter’s contents — even to fellow Democrats. I have received information from an individual concerning the nomination of Brett Kavanaugh to the Supreme Court. That individual strongly requested confidentiality, declined to come forward or press the matter further, and I have honored that decision. I have, however, referred the matter to federal investigative authorities. The information came in a letter that allegedly was first sent to the office of California Democratic Rep. Anna Eshoo, who allegedly passed it along to Feinstein during the summer. It is unclear why Feinstein waited until now to pass the letter to the Justice Department. The anonymous woman making the claims is being represented by Debra Katz, a lawyer who works with #MeToo “survivors”. Joseph Abboud, a lawyer at Katz’s firm, said the firm declines to comment. Senator Schumer promised to ‘oppose Judge Kavanaugh’s nomination with everything I have,’ and it appears he is delivering with this 11th hour attempt to delay his confirmation. Throughout 25 years of public service, the Federal Bureau of Investigation has thoroughly and repeatedly vetted Judge Kavanaugh, dating back to 1993, for some of the most highly sensitive roles. Kavanaugh attended Georgetown Preparatory School, an all-boys’ Jesuit high school in Maryland. It is not known what school the anonymous letter writer attended. Sen Grassley is aware of Sen Feinstein’s referral. At this time, he has not seen the letter in question, and is respecting the request for confidentiality. There’s no plan to change the [committee’s] consideration of Judge Kavanaugh’s nomination. Daily Wire just reported that the FBI has declined to investigate Supreme Court nominee Brett Kavanaugh over allegations sent to them by Sen. Dianne Feinstein (D-CA). Take that, Feinstein! We are women who have known Brett Kavanaugh for more than 35 years and knew him while he attended high school between 1979 and 1983. For the entire time we have known Brett Kavanaugh, he has behaved honorably and treated women with respect. We strongly believe it is important to convey this information to the Committee at this time,” the letter states. “Brett attended Georgetown Prep, an all-boys high school in Rockville, Maryland. He was an outstanding student and athlete with a wide circle of friends. Almost all of us attended all girls high schools in the area. We knew Brett well through social events, sports, church, and various other activities. Many of us have remained close friends with him and his family over the years. Through the more than 35 years we have known him, Brett has stood out for his friendship, character, and integrity. In particular, he has always treated women with decency and respect. That was true when he was in high school, and it has remained true to this day,” the letter continues. “The signers of this letter hold a broad range of political views. Many of us are not lawyers, but we know Brett Kavanaugh as a person. And he has always been a good person.